Around 3 million years ago humans were basically just upright apes. Hence their name Australopithecus, which just means “southern ape”. However, children from back then took this to the extreme; sharing more features with other apes than their parents did1. See, there were still a few features that identified 3 million-year-old people as distinct from the other apes. For instance, we could no longer use our big toes to grab stuff. Instead, they were locked into position to provide extra power as we walked2. However, many of these features were missing in children from this time. Fossils of children are hard to come by. Their bones are small and not fully formed, making it unlikely they’ll survive for millions of years. This makes Selam a bit of a star. 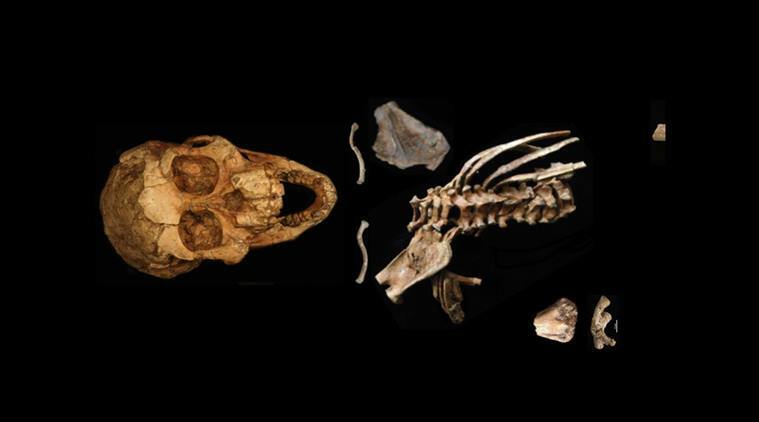 She was a 3-year-old girl that died in Africa more than 3 million years ago. Unlucky for her, lucky for us1. Selam survived all this time because she was embedded in tough rock1. It’s taken nearly 20 years to extract her whole skeleton, with each piece uncovered adding to our knowledge of ancient people. Now, it’s her foot’s time to shine. Her weird, grasping foot. Our big toe is locked into position, providing extra power as we walk. The same seems to be true for adults back then as well2. Selam, on the other hand, appears to have had a more mobile toe. It was capable of reaching out and grabbing stuff like a thumb. Although they probably couldn’t move it as much as a chimp, it probably still helped them climb and clamber1. This becomes especially weird when you realise that this foot is a bit of a hodgepodge. Whilst it did have this weird big toe, there were also many similarities between Selam and adult feet from this period. Both, for instance, feature many adaptations for walking upright. Like an ankle that’s angled to keep the foot under their centre of mass, helping them stay balanced1. Well, it turns out this isn’t the first ape-like bit of Selam found. A few years ago scientists analysing her shoulder found it was also different to adults of her species3. Like her foot, the shoulder also seems more chimp-like than the parents, but not all the way chimp. Specifically, the shoulder is angled upwards; all the better for reaching things over their heads. This change also makes their muscles better suited for dealing with this dangling3. A statistical analysis of scapulas. 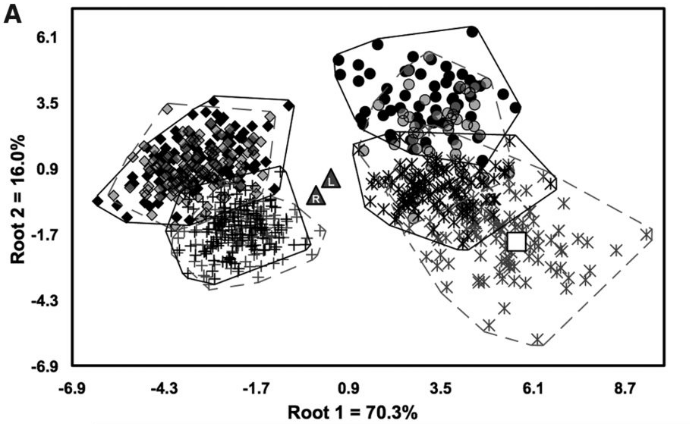 The left clusters are apes, the right human (except for the circles which are orang-utans). L & R are Sema’s left and right scapula3. It seems that where Selam does differ from her parents, it’s in features that would give her an advantage in climbing. Whether that’s a grasping toe or grabbing shoulders. Was this a sign that young Australopiths like to climb trees? Maybe they were sent clambering after fruit by their parents, or to hide from predators. However, the authors responsible for the research on the toe have a more wholsome explanation. 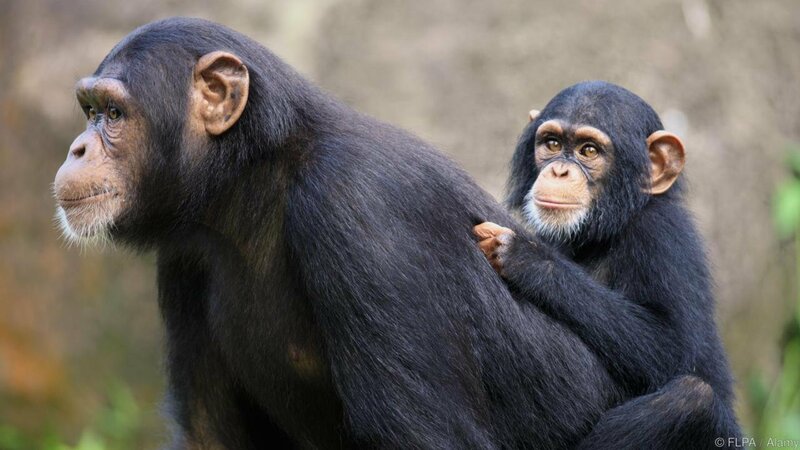 Chimp kids often cling to their parents when young. It frees up adult arms for other stuff, whilst the kid doesn’t have to worry about being left behind. Could these youthful adaptations for climbing be a sign early humans were doing something similar? That Selam was clinging to her mother as they walked around. All this anatomy and statistics, giving us a glimpse into the daily life of this species. DeSilva, J.M., Gill, C.M., Prang, T.C., Bredella, M.A. and Alemseged, Z., 2018. A nearly complete foot from Dikika, Ethiopia and its implications for the ontogeny and function of Australopithecus afarensis. Science advances, 4(7), p.eaar7723. Latimer, B. and Lovejoy, C.O., 1990. Hallucal tarsometatarsal joint in Australopithecus afarensis. American Journal of Physical Anthropology, 82(2), pp.125-133.